Perpetua, which means lasting, “had it all”. She, along with slaves in her household were part a group derogatorily called “Christians” by the ruling Roman Empire. Other gods were permitted, but only by swearing allegiance to the divinity of the Emperor, which was too much for her. 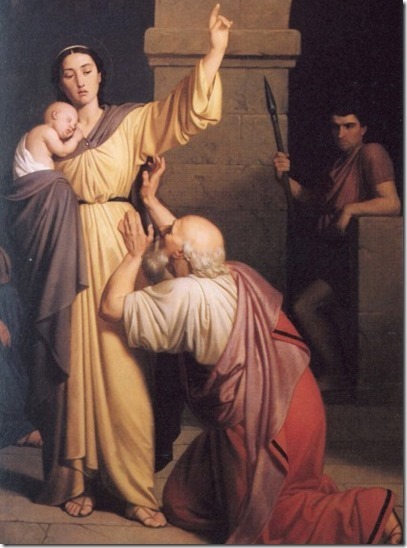 Separated from her nursing infant, her execution was assured, dying finally by the sword. Faith so strong as this can only be known, not just felt. For the willingness to die, painfully, to enter another kingdom, and leave all your loved ones is not a small one. Thousands of onlookers saw this faith, and the personal witness and sacrifice, with wonder and bewilderment. For how can such a huge decision be made with such certitude? The question we all ask since. A lasting question … for her memory remains.